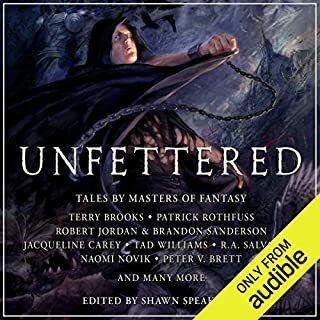 The Kingkiller Chronicles first two books were narrated by a talented voice actor who's performance made this already amazing series even more enjoyable, you'd expect him to narrate the next item in the series. But no, instead we get the author - and while not a complete failure of a reader he certainly did little to nothing to elevate this material. He read rapidly, somewhat breathily, somewhat pretentiously. Auri is one of the most delightful characters in The Kingkiller Chronicles, you'd expect a book about her to be interesting. But no, instead we get this. If you're into feng shui or interior decorating maybe you'll get a kick out of reading about Auri constantly re-arranging everything. There was a lot of potential here for an interesting book, every now and then we get teased with some tidbit from Auri's past. But no, we can't have that, where does this bottle want to be again?? I'd like to know who is paying for these glowing 5 star reviews or if they got a different book than I did? When Rothfuss says this book isn't for everyone, believe him. I found it slow and tedious. 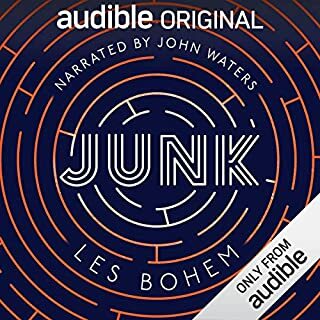 The audio book though is great for insomniacs. Yes it’s my fault for buying before reading reviews, I hope i can get a refund. It’s very frustrating listening to this after finishing the second book just yesterday. There is nothing clever or interesting about this book. This book ruined my love of Ari. I knew she was a little odd from the other books but they also made her seem clever and interesting, maybe a student of master namer. “But no...” this books just describes her as a crazy OCD madwoman. 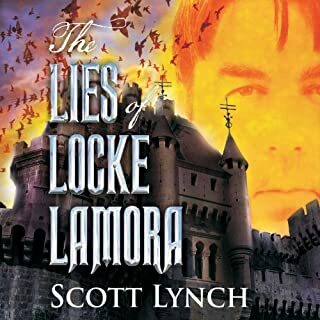 Would you try another book from Patrick Rothfuss and/or Patrick Rothfuss? Yes, but only to finish the trilogy I have already invested in. 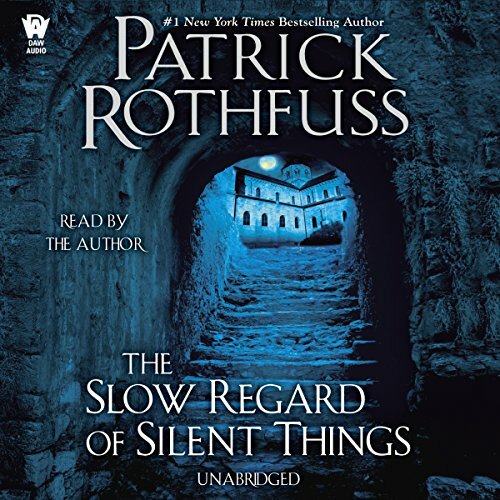 What could Patrick Rothfuss have done to make this a more enjoyable book for you? He should have left it in the bottom of his trunk as he himself suggested that was all it was good for. At the very least he should have made it free to his many fans that are waiting patiently for the conclusion of the trilogy. What didn’t you like about Patrick Rothfuss’s performance? As far as author-performances go, this wasn't too bad. I think it should be left to the professionals though. None whatsoever. No plot. No story. I soldiered through the entire 3.5 hours thinking that eventually, something interesting will happen... It never did. 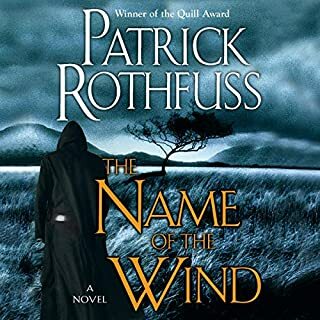 Has Rothfuss's success from the first two books of this trilogy made his ego so huge that he thinks he can push this piece of crap off as part of the Kingkiller Chronicles? AND read it himself? AND charge us for it? AND say "f**k those people" who he knows won't like it? I will be requesting a refund. 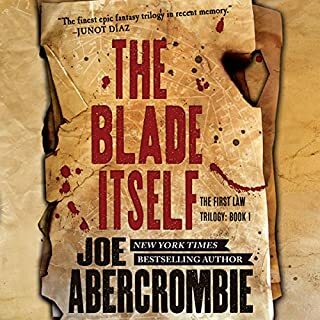 I loved the first two books, saw the 4.4 star rating, so I purchased this book. Unfortunately, I didn't hear the author's warning until after I purchased the book. After an hour of pointless nonsense, I skipped to the final 20 minutes just to see how it ended. From the high rating, I guess I'm in the minority, but I think this book is completely unnecessary. OK - so most of us who bought this book are fans of Rothfuss' Kingkiller chronicles. So, we already love his work. No question. This work, however, is a mixed bad. The sentences are masterfully crafted. The prose, description and witty use of personification of inanimate objects - all are masterfully done. If we were just looking at those things, this book would be compared to works of the greatest literary masters. That is my opinion, of course. Others may think differently. Unfortunately, all that greatness isn't put together into an overall structure that makes sense and creates a reasonable story. If this was a soup, I'd say that Rothfuss' ingredients were perfectly prepared and of the best quality, but they were not put together well into a good theme that produces a delicious and nutritious soup. I thought his performance was better than I expected. Sometimes, because authors are great at writing, they make the mistake of thinking they're also gifted dramatic actors. I expected that Rothfuss' reading would be a lot worse than what was presented here. It was actually ok - it didn't truly distract from the work- the lack of a good over-arching story did. What disappointed you about The Slow Regard of Silent Things? Has The Slow Regard of Silent Things turned you off from other books in this genre? I was really looking forward to learning about Auri - her past, what makes her tick, etc. I got none of that in this. Just a random jumble of words and the phrase "but no" entirely too often. Maybe it's my engineer brain but I did not grok this story at all. 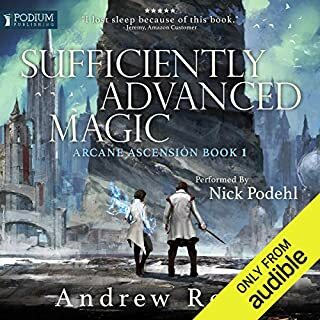 I will return this to Audible. It is never worth listening to again. Yes I gleaned some information about Ari but not enough to justify the difficulty of the listen. There wasn't enough meat in this story. Hints and suppositions are not enough for me to go back and listen to this story. I may now be jaded towards this character when she appears again in the next book of the Kingkiller Chronicles. How sad would that be. How many pages making soap? Really? I skipped through it. I couldn't take it. Now back to waiting for the rest of the story. For me this series is about entertainment not enlightenment. I can go read Kierkegaard if I want to be challenged.